Stock # G1200110, 4.8L Vortec 1000 V8 SFI Engine, Automatic, 90653 mi. 2016 Chevrolet Express 2500 135" wheelbase cargo van with 90,653 miles. 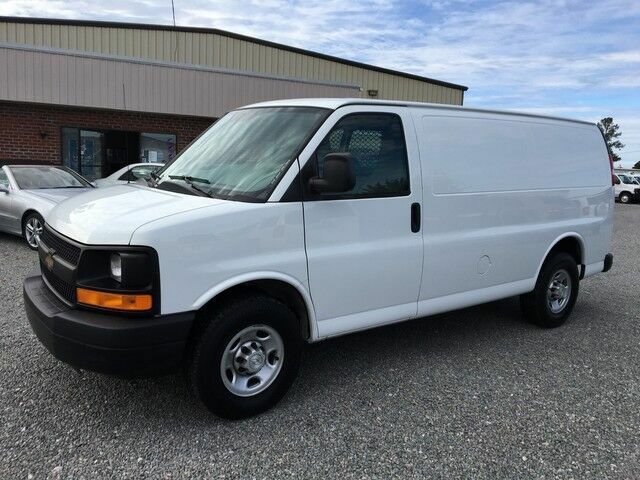 Equipped with 4.8L V8 Engine, One Owner southern van with great service history, Power Windows & Locks, Cruise Control & Power Mirrors, Air Conditioning. Very clean unit inside and out. Serviced and Virginia state safety inspected. Comes with 3 month/3,000 mile warranty. Help with shipping is available. Any questions, please call 804-798-6661.